NEW YORK -- The NYPD's hate crime task force is investigating after a noose was found hanging in the Metropolitan Opera House in Manhattan Saturday night, inside a men's locker room, according to police and the Met. The victim, an orchestra musician who is white, found the noose around 7:30 p.m, according to the NYPD. 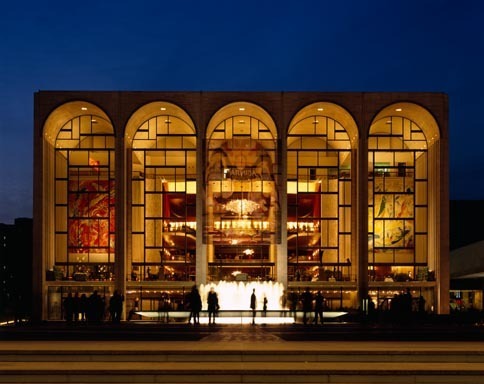 The disturbing discovery was made before the start of a performance of the opera Turandot, the Met said in a statement released to CBS News. The statement said Met staff immediately called the NYPD, who began investigating with the opera house's "full support and cooperation." Police say they are investigating as a possible bias incident. "This is a very disturbing incident for the members of our company and, if it was a deliberate act of racial hate, we would like to find out as soon as possible to help guide our next steps," the Met's statement said.